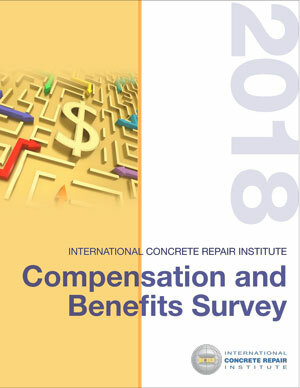 February Membership Meeting – North TX International Concrete Repair Institute, Inc. Registration and networking for the meeting will begin at 11 AM, a buffet lunch will be served at 11:30 AM, and the presentation will begin at noon. Online registration is now closed. Day-of-event registration may be available. Please contact Pete Haveron to verify availability. Fred Goodwin is a chemist with over 30 years in the construction chemicals industry, has been with BASF & predecessors for over 28 years and is a member of ICRI, ACI, ASTM, NACE, SDC, and SSPC. A fellow of ASTM, ACI and ICRI, an Honorary Member of ASTM C1 & C9, and current chair of the ICRI Technical Activities Committee (TAC), ACI 090 TRRC, SSPC 8.3 Commercial Floor Coatings, was awarded the ASTM Award of Merit in 2016, the JCPL Editors Award (2006, 2010, 2012), the ACI 2011 Delmar Bloem Distinguished Service Award, and the Strategic Development Council – 2015 Jean-Claude Roumain Innovation in Concrete Award. He is a NACE certified Corrosion Technologist, was recently named as a Top 25 Innovative Thinker by Technology Publishing, and currently heads the BASF Construction Chemicals Global Corrosion Control Competency Center.